Kein Schachprogramm bietet mehr Funktionen. Fritz 16 können Sie trotzdem ganz einfach und intuitiv bedienen. Sie klicken nur an, was Sie machen wollen, z.B. Spielen, Analyse, Onlineschach. Schon öffnet sich Fritz 16 als übersichtliche App mit genau den Funktionen, die Sie brauchen. Mit Fritz 16 bleiben Sie mobil: der ChessBase Premium Account (6 Monate) garantiert vollen Zugriff auf die ChessBase Web Apps (auch für iPads, Android Tablets und Smartphones): 6.000 Schach-Trainingsvideos, 60.000 Taktikaufgaben, 8 Millionen Partien in der Live-Database und natürlich Onlineschach auf playchess.com. 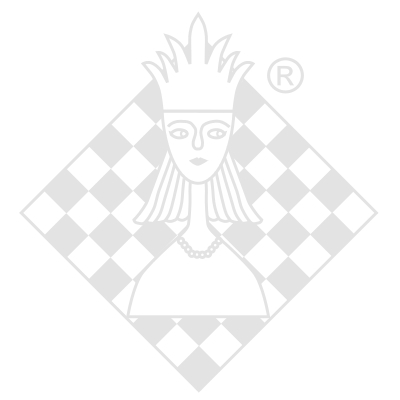 Auch neu in Fritz 16: sofort nach Partieende auf playchess.com können Sie die Partie inklusive kompletter Analyse nachspielen! hen is chess the most enjoyable? When you win! When Fritz entered his first tournaments some 25 years ago, humans still had a real chance of taking the engine down. Only a few years down the line, Fritz was already beating grandmasters left, right and center, but ever since his 4:2 victory over Kramnik in 2006, Fritz has been considered unbeatable. Who would want to play against him? In the case of Fritz 16, however, playing against an engine is now once again the very definition of fun! A host of features, including "Assisted Analysis", which gives you discreet visual hints as you move, and emoticons, which show Fritz’s mood, are there to help you. Even with little knowledge of chess, you can enjoy many an exciting game, and more importantly, victory, against Fritz. If things don’t work out, Fritz 16 shows you the combinations you might have missed directly after the game with the handy “Tactical Analysis” function, or you can dive right into "Easy Play" calculation training to hone your skills. Fritz doesn’t come up short when it comes to playing strength either: the new multiprocessor engine was developed by star programmer Vas Rajlich ("Rybka") and is up there with the global elite. Stay mobile with Fritz 16: With a 6-month ChessBase Premium Account included, you’re guaranteed full access to the world of ChessBase Web Apps (also for iPads, Android Tablets and Smartphones) on the move: 6,000 chess training videos, 60,000 tactical exercises, 8 million games in the Live database and, of course, the best online action on playchess.com. Fritz now also annotates and analyses as you play, immediately providing you with move-by-move summaries to replay after a game ends. No other chess program offers you more, with the online manual alone spanning a whopping 457 pages! But you won’t need it - Fritz 16 is intuitive and easy to use, and whether you want to play against the engine, analyze or enjoy some online blitz, Fritz 16 will open just the functions you need at the click of a mouse. Internet access and up-to-date browser, e.g. Chrome, Safari. Runs on Windows, OS X, iOS, Android and Linux.